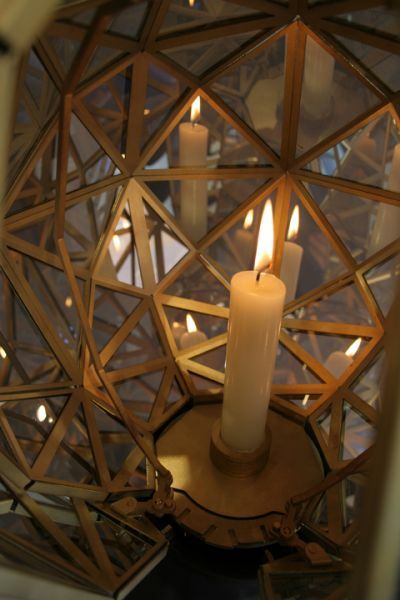 'Light a Moment’, is an exclusive candle lantern. A collaboration between Joost van Bleiswijk & Kiki van Eijk where their two creative worlds are captured into one poetic kinetic object for Laikingland. "A soft and romantic ceramic form full of the characteristics of textiles holds a traditional church candle. 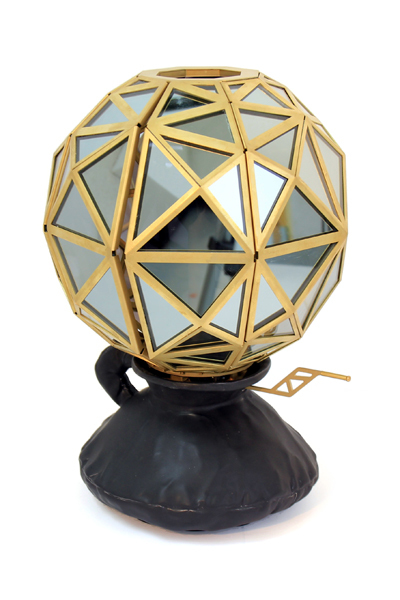 This candle is reflected a 1000 times through fragmented mirrors built in a constructivist shape. 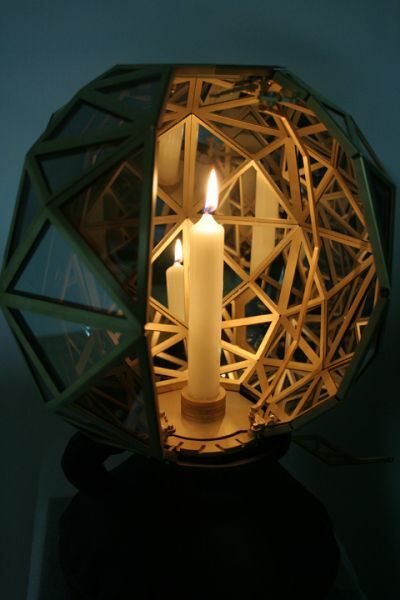 Materials: Ceramic, brass, glass, candle and custom mechanism. Dimensions: Height 500mm/19.5" Width 350mm/13.5" Depth 350mm/13.5"